In my last letter, I covered some of the basics on light travel packing. Now I want to share a few interesting things I discovered over the years. Once you go to an area for five or more times, you will most likely buy less and less to bring back with you, In fact you may find yourself leaving more there then you bring back. Many times now we have packed in many different formats with thinking about what can we bring to benefit the locals to how we can save money on travel bags with those nasty airline fees. So here are some helpful tips for different types of travelers. 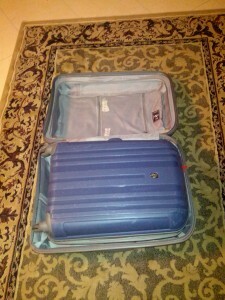 I hope you read my earlier article and think about how you can get your packing down to smaller amounts of bags. 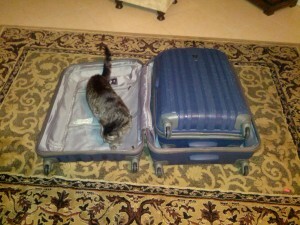 It might be from 4 to 2 or as my wife and I travel from two large to one small suitcase. For the traveler that loves to shop and will be buying something for all the Grand Kids, Friends and neighbors, let me suggest a few things. First try to get your own packing down to on average suite case. 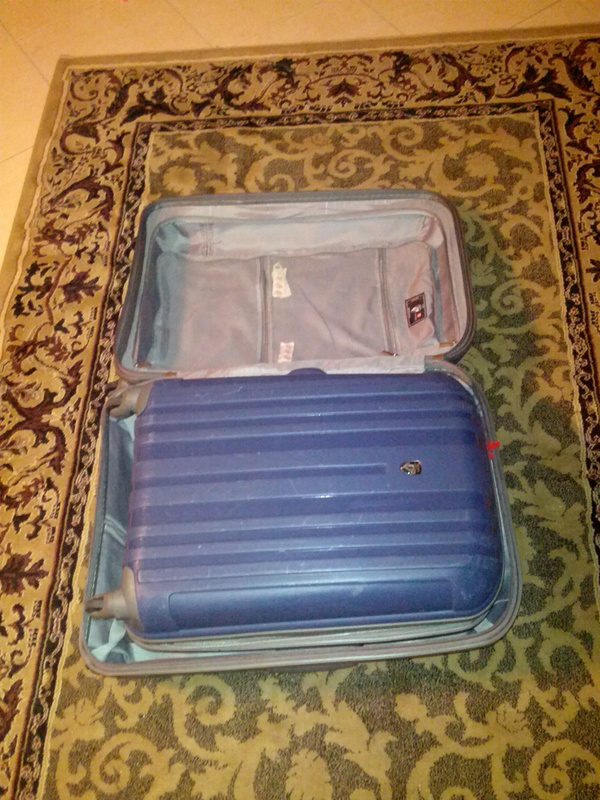 Then with a matched set of luggage, the real packed bag can fit inside of the larger one. If you can’t quite do that, you will find lots of room around the outside of the smaller bag to free form pack things like T-shirts, or other things that can be rolled. With our set, we can even put a soft sided medium duffel bag on wheels. So if you are travelling somewhere new that you want to buy “stuff”, you will only pay the airlines for one bag on the way down and you will have the choice of one or more bags to hold the goodies and only pay for that portion on the extra bags. Now for people traveling to returning locations, you most likely can get away with the one bag and save in both directions, but I want to suggest that the more you know about a people group, the traits of a country, the more you can have an extra highlight by bringing things that people will really like. Now, this is directed at the traveler that is going to one location, usually today this means an all-inclusive vacation that you will be staying at for a full week. In this case you will travel with two pages and do the double bag trick and return with one bag. Let me share with you some of the things that you might want to do. The first time we went to Cuba, we knew the basics that we could take for people. Ten years later we returned to Cuba and this time we did it a little differently. Now before I get into this, you have to realize that we get a real kick on seeing faces light up and knowing that we gave them a few things that are sometimes hard to get there. It is not that they cannot afford to buy them, the resort staff are very highly paid in tips (and sometimes supporting large extended families), but they just cannot buy things that are extras. Different shot showing all the extra space between the smaller bag and the larger one. So knowing that the staff in the rooms will change sometimes day to day once they know you have gifts and you will also meet a bunch of great staff in the restaurants, and on the resort in different area. So my wife spent all of a few extra dollars and went to the dollar store for gift bags and tissue paper to make up nice looking presents. The staff, were all so pleased with this and it really did make our trip better seeing the smiles. I remember on the day we left, we asked if the people who were so friendly to us could meet with us for a little something. To our surprise, they were ALL there and lined up in a line to say good bye. It was very touching and it was so nice to have the gift bag concept ready to go so we could personalize each one. Finally, I want to switch gears to the Dominican Republic. How can we apply the same thing here? 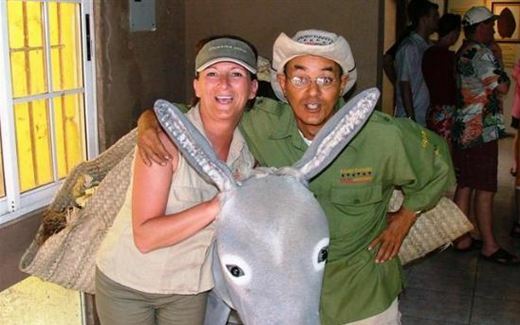 On one hand we have a country that still has a very low income level, but we are dealing with resort staff that really do make a good living compared to other countries. One of the things that you will find here is the need to help the school systems. There are other writers that are trying to make a mark and tell you not to bring school supplies as the delivery of the supplies causes interruptions and actually hurts the system. All I can say is we have never experienced this and there is a right and a wrong way to do any of these outreach things. Great trick to save on paying for 2 bags when you will only need 2 in one direction. 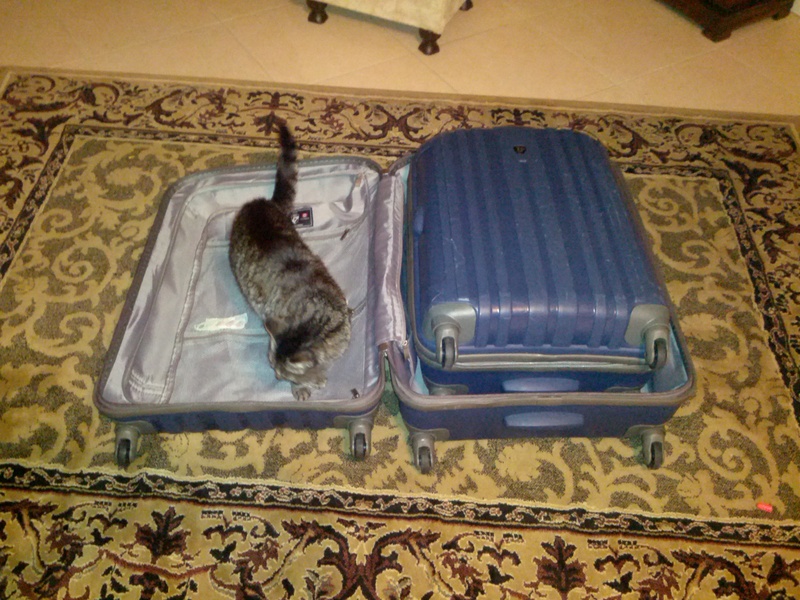 — No the cat is not being packed. them know you have school supplies, they will stop at one of more remote schools, away from the resorts that are really, truly in need of paper (heavy and costly to import), pencils, rulers, etc. I want to also recommend a good friend and one of the best guides they have. If you want to go this route and you are in the Punta Cana area, please ask for “MiMi” and tell him Steve from Canada sent you.